The Cosmopolitan is a luxury hotel and casino located in the heart of the Las Vegas strip. The resort opened in 2010. The Cosmo, as it’s also called, boasts three pool areas that see heavy guest traffic beginning in the spring and lasting through the fall. 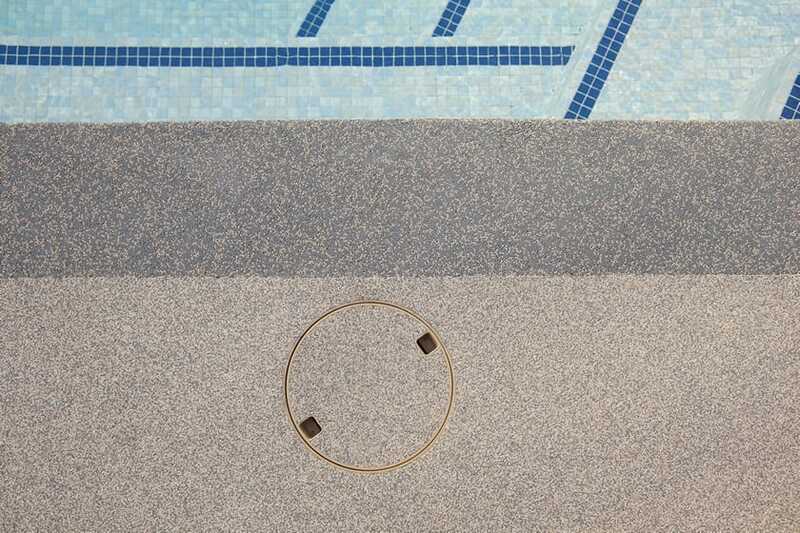 The aquatic surface originally used on their pool surrounds and adjoining areas has underperformed, leading to cracking, bubbling and peeling issues, which led the Cosmo to replace the surface in 2016 with AquaFlex. 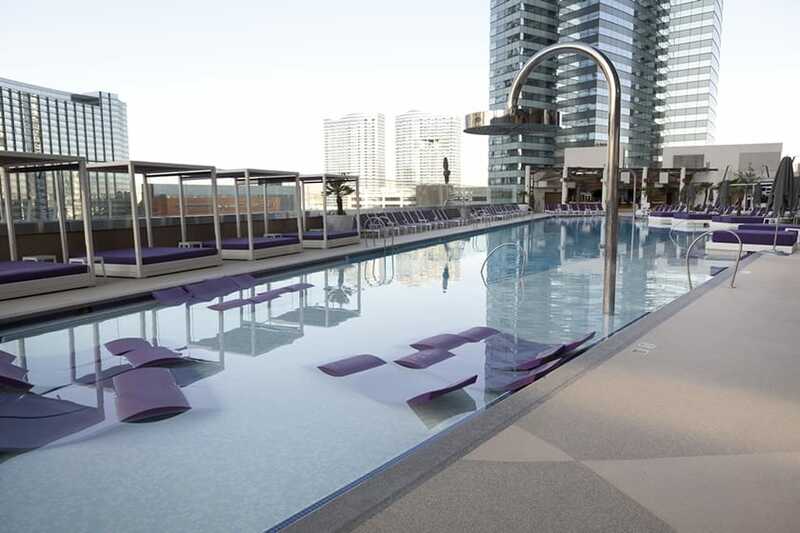 For the Cosmo project, Surface America supplied AquaFlex material to PebbleStone Coatings, a Las Vegas-based surfacing installer. There’s 114,000 square feet of AquaFlex used on the pool decks, pool coping, stairs, ramps and vertical walls. The Cosmo is using various color combinations for the project and is integrating designs and borders, including a two-color deck design with interlocking circles. The Cosmo chose AquaFlex for many reasons. Most importantly, it is a terrific anti-slip surface, and the product has a longer lifecycle than other surfaces on the market because it flexes with the sub-deck and will not form hairline cracks, like their original rigid surface did. AquaFlex is also easy to clean and offers a high-end look. “AquaFlex has withstood the test of time for us in other projects and has proven to be a long-lasting, durable surface. 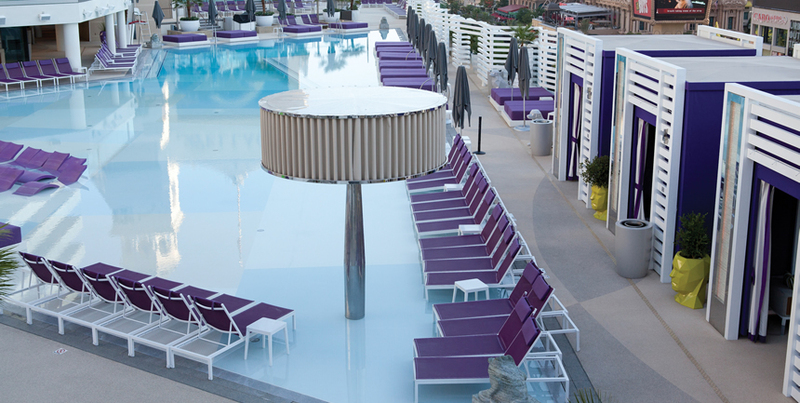 AquaFlex has significantly reduced liability resulting from guests slipping and falling. And it has a much lower cost of ownership than other pool deck surfaces,” shares PebbleStone Coatings’ Jim Brendel. 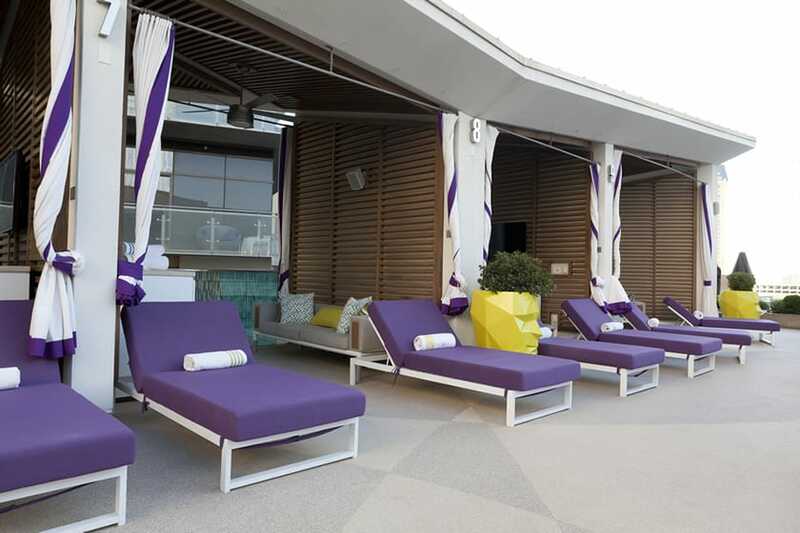 Besides The Cosmo, Surface America and PebbleStone teamed up for other Las Vegas projects at the ARIA® Resort & Casino, Four Seasons Hotel and Stratosphere Hotel & Casino. AquaFlex is mixed and troweled on site for a seamless surface and custom look. Slips and falls caused by the surface are virtually non-existent with AquaFlex. AquaFlex is millions of tiny thermoplastic pebbles bonded together with a strong aliphatic binder. Pebbles are 100% color throughout with nothing to wear off during use and over time. AquaFlex® is a Landscape Structures product provided by Surface America. Since 1993, Surface America has completed thousands of projects and installed more than 30 million square feet of recreational and athletic surfacing and flooring throughout the U.S. Customers have come to know Surface America for its project management expertise, superior installation craftsmanship and proven surfacing & flooring surfaces.